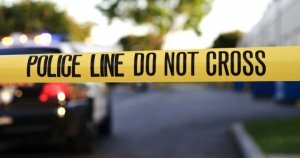 Mom Killed In Car Crash After Boyfriend Cut Brake Lines To Make Crack Pipe | Schuler, Halvorson, Weisser, Zoeller & Overbeck P.A. Police said an Indian River County mother of five was killed in a deadly car crash after her boyfriend cut her brake lines to fashion a crack pipe. A 38-year old, was behind the wheel when she slammed into parked vehicles and then hit a tree at the intersection of Winter Beach and Fellsmere in Indian River County, according to FHP. Her boyfriend admitted to police that he cut the brake lines of the victim’s car the night before her fatal accident in an attempt to obtain a metal pipe that could be used to smoke crack cocaine, according to FHP. The 39-year old, told police that the victim was driving him crazy looking for a crack pipe. He told authorities he had no knowledge of cars and cut anything from underneath the vehicle that could be used to smoke crack. The victim’s car appeared to be traveling at 50 or 60 mph before the accident, a witness told the Indian River County police department. The car’s brake lights flashed on and off, but the vehicle didn’t slow down before the crash, the witness said. The shocking discovery of the severed brake lines came after officers performed a mechanical inspection and search of the victim’s vehicle, authorities said. The Indian River County police officials told The Post that the victim died at the hospital from multiple traumatic injuries sustained from the crash. Her boyfriend was charged with homicide and is being held at the Indian River County Prison without bail.